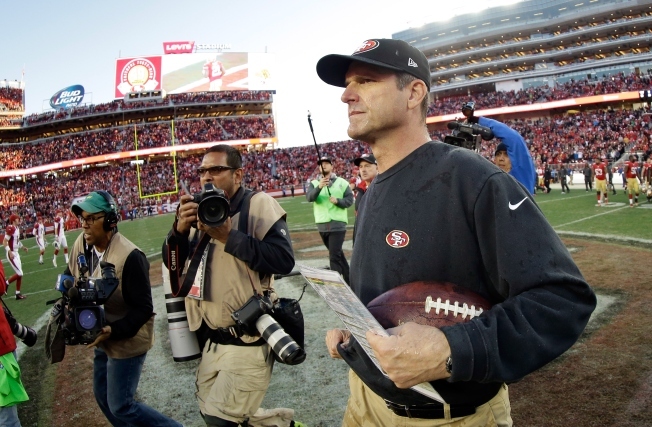 San Francisco 49ers coach Jim Harbaugh will not return for the final season of his $25 million, five-year contract he signed in January 2011. From his signature outfit of khaki pants and a black 49ers pullover to his signature phrases such as "Who's got it better than us? No-body!'' Harbaugh did things his way. And, largely, his way worked. Then, when the 49ers lost at home 19-3 on Thanksgiving night to Seattle, York turned to Twitter to express his discontent with the team, perhaps only a preview of a relationship that couldn't be repaired. Now, according to reports, Harbaugh has already accepted the job to become the next head coach at the University of Michigan. Click here for full 49ers coverage.